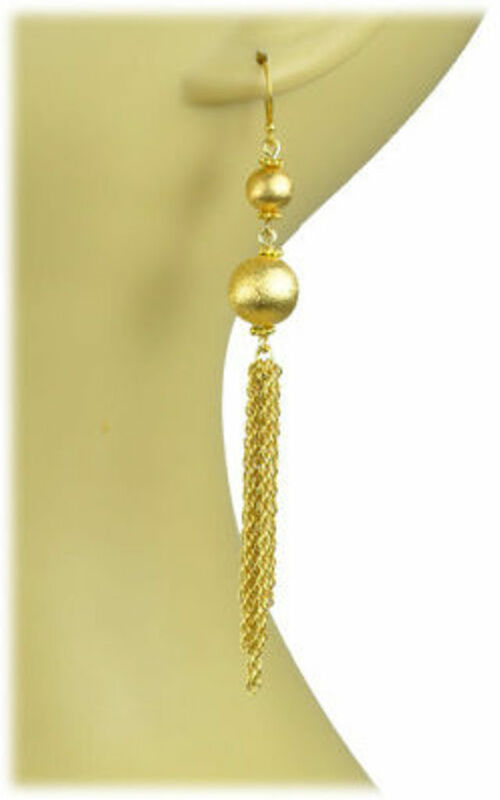 14kt gold plate beads and chain tassel. 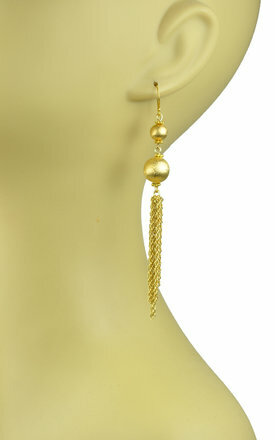 18kt vermeil, gold over sterling silver earwires. 4 inch entire drop length. 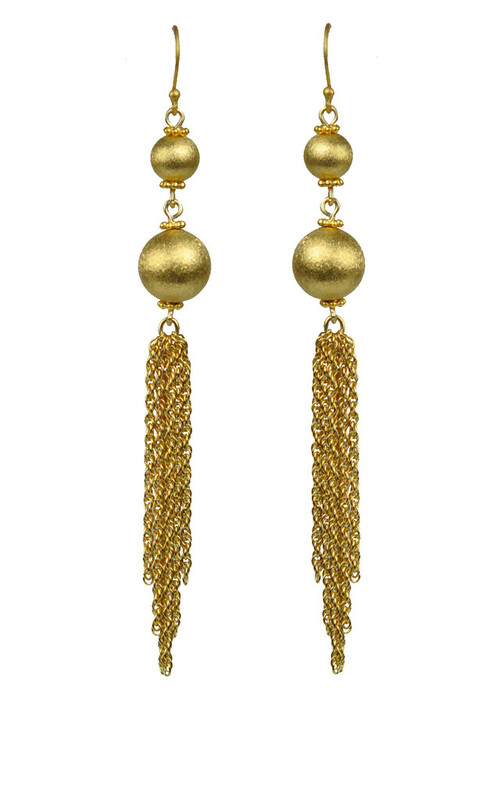 Gena Myint keeps the everyday woman in mind by creating timeless, elegant and transitional pieces that can be worn from day to night and to any occasion. 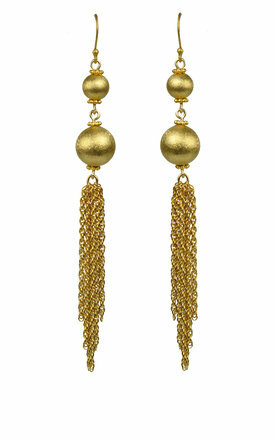 * Please note that this designer ships their products from New York.